← Expanded Hours at the Shop for the 2018 Holiday Season! 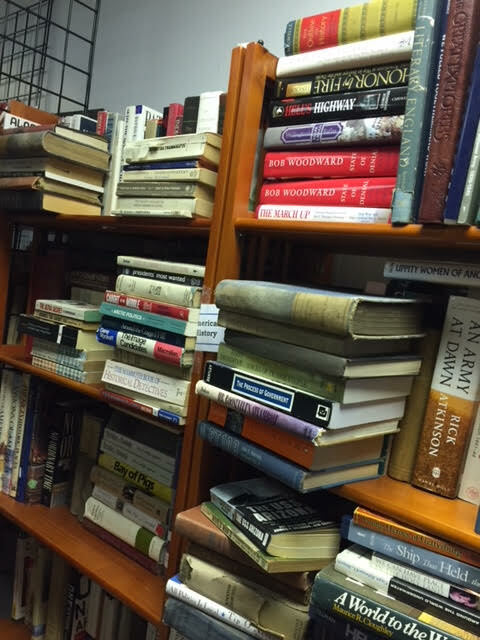 Wanna Volunteer and Get “Paid” with Books? 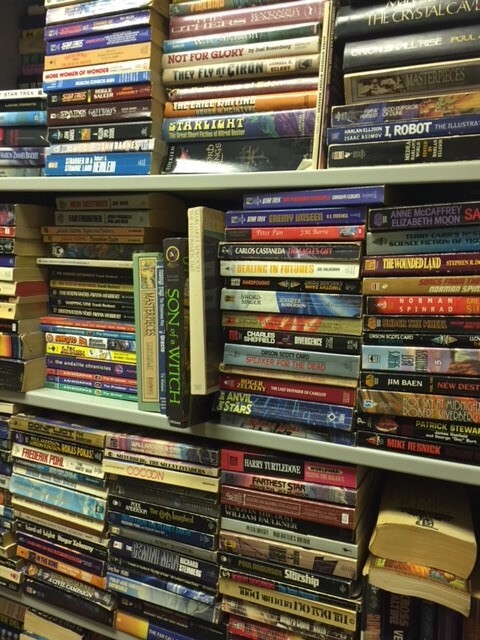 Although I’ve steadily been plugging away at organizing the shop, there’s still sooooo much work to do that I’m ready to ask for some volunteer help… I can’t afford to pay anyone with cash, but I can pay with books! 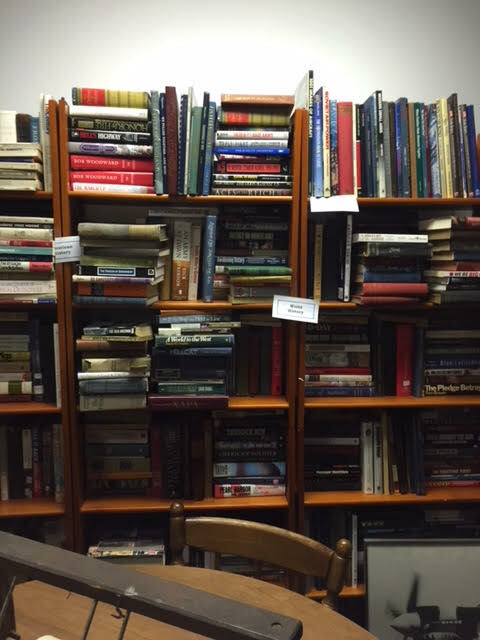 Practically every section of books in the shop needs to be organized. 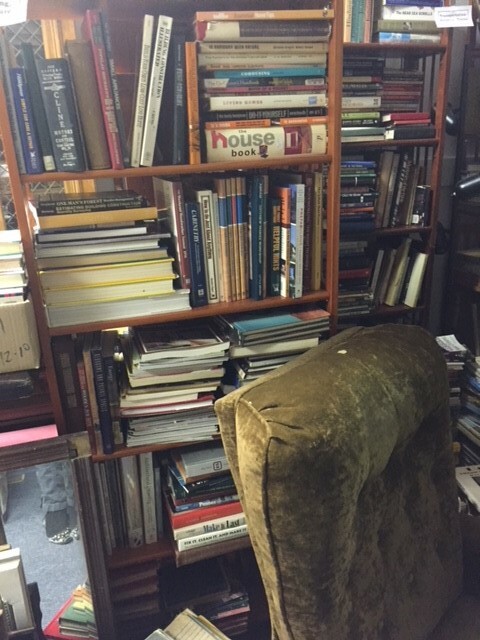 Some sections are in better shape than others, but man… the cookbooks, the kids books, the military/American history/world history section, the sports section, the reference section, the foreign language section, etc etc… they all need serious attention. So here’s my thought. I have a general idea of how long it will take to organize each section. I could “pay” a volunteer with books at the rate of about $15.00 worth of books for every hour worked. The $15.00 would be what we’d charge for the books, not what the books’ original prices were. And since our prices are way lower than those original prices, you could make out like a bandit, if you’re a book lover like I am! There would be some books not included in this – none of the Maine & New England books, for example. But other than that, pretty much anything else we have in stock would be fair game. And better yet, if you like contemporary fiction, you’ll get quite a deal, since (for another example) our hardcovers are $2.00 each (buy 3, get one free! ), or fill one of our reindeer bags for just $5.00… those bags hold about a dozen hardcovers. You could put in an hour’s work and walk out with three bags full of contemporary fiction worth hundreds of dollars if you were to buy them brand new at a regular bookstore. And the condition of most of those books is exemplary! BTW, there’s always coffee and cookies at the shop. Nom nom nom…. 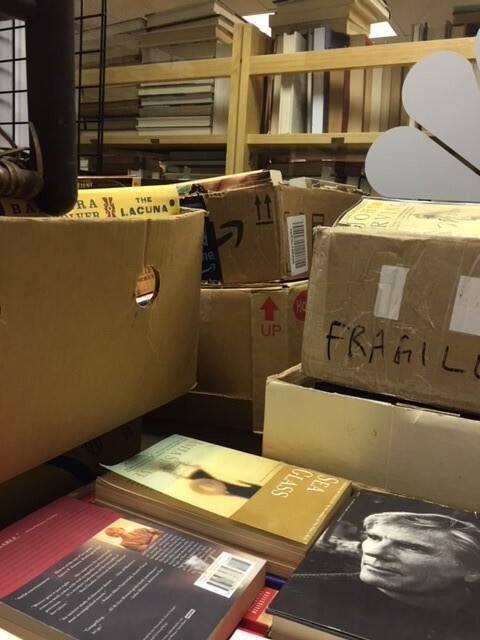 22) Contemporary Fiction – okay, that’s rather a nightmare; one whole small room filled with 40-50 boxes of books that need to be organized alphabetically by author – maybe 8-10 hours?? Update, 12/02/18: I decided to can the idea of alphabetizing these books, and am just organizing them by type (hardcover, trade paperback & mass market), and boxing them up to sell in bulk…so far I’ve put about 7 hours into this but still have another several hours to go! There are other sections, but most of those are in okay shape. And then…. there’s all the work of inventorying the books and getting them onto the website. That’s an absurd amount of work. Anyone up for doing a few hours? Coffee, cookies and free books. Hey, what more could you ask for? Oh yeah, my sparkling personality right there with you! You got it! It’s my plan to be at the shop every Tuesday through Saturday from 1:00 pm to 6:00 pm for the next few weeks. (Except Saturday, December 8th; I’m already scheduled elsewhere most of the day.) So if you’re able to come in during any portion of any time listed, that would be wonderful! Please call or text me at 207-740-2247, or email me at LSnyder@regroupbiz.com. Yikes! I almost forgot… I have another 30 or so boxes of books in storage at home that need to be brought in. Yup, there’s definitely plenty to do…. 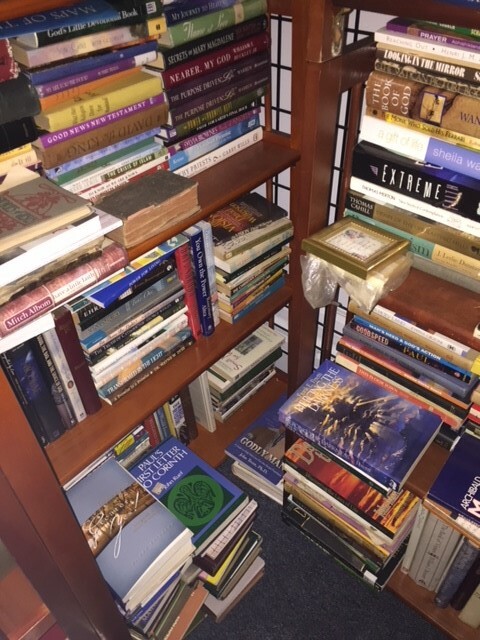 This entry was posted in Books & Literature - All On This Site and tagged animals, art, biographies, bookstore, children's books, cookbooks, crafts, homesteading, languages, memoirs, military books, nature, organzing books, poetry, science, sports, used books, volunteer. Bookmark the permalink.